NERC Petitions for Approval of Five Generator Verification Standards May 30 – In FERC Docket No. RM13-16, NERC filed a consolidated petition for approval of reliability standards to address generator verification: MOD-025-2, MOD-026-1, MOD-027-1, PRC-019-1 and PRC-024-1. MOD-025-2 combines two existing standards and covers verification of real and reactive power from generators and synchronous condensers. MOD-026-1 governs verification of generator excitation control equipment. MOD-027-1 governs verification of governor and load control functions, and active power or frequency control functions. PRC-019-1 requires generator owners and transmission owners to coordinate voltage regulation equipment with fault protection equipment. PRC-024-1 sets performance requirements for generator protection equipment. NERC also seeks approval of Violation Risk Factors and Violation Severity Levels for each standard. NERC Submits Filings in Canadian Regions June 4 – NERC submitted notice of two filings in each of the Canadian regions to update its Glossary of Terms to address issues presented by FERC Order No. 693 and remanded interpretations of two of NERC’s cybersecurity standards. In the first filing, NERC proposes to add to its glossary the terms “Bulk-Power System,” “Reliability Standard,” and “Reliable Operation.” The second filing addresses proposed interpretations of CIP-002-4 and CIP-006-4 and seeks to clarify FERC’s remand of CIP-002-4. NERC Posts Documents on BES Definition Implementation – NERC has posted a document called BES Effective Date Key Messages that discusses its request for additional time to implement the recently approved Bulk Electric System (BES) definition, and the key implementation dates that would apply if FERC approves NERC’s request for additional time. In addition, NERC posted flow diagrams to visually demonstrate the process for requesting and obtaining exceptions from the BES definition for system elements. NERC Submits Informational Filing on BES Definition Exceptions June 3 – NERC made an Informational Filing at FERC explaining how NERC would maintain a list of facilities and Elements for which BES Exceptions had been granted and for which entities had made self-determined exclusions. The informational filing describes an online BES process tool, and identifies how information would be made available to the Commission, Regional Entities and other interested persons. 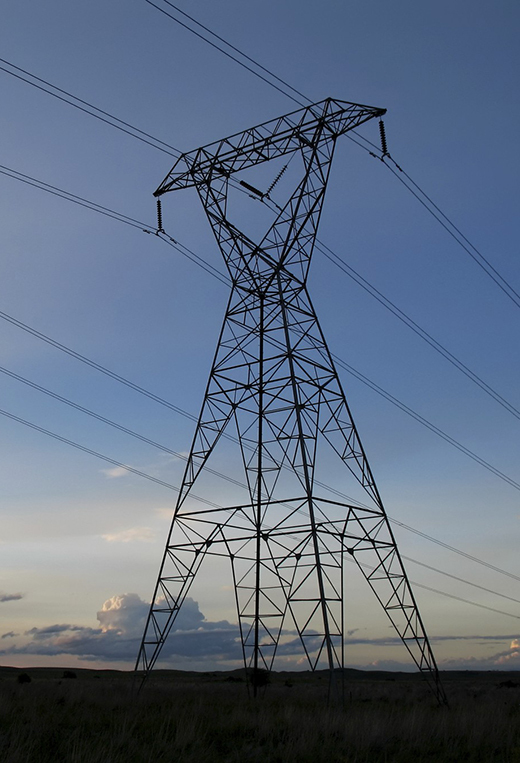 Trade Associations Comment on NERC’s Motion for Extension of Time May 31 – The American Public Power Association and Transmission Access Policy Study Group (APPA-TAPS) filed commentssupporting in part NERC’s motion to delay the effective date of the updated Bulk Electric System (BES) definition. APPA-TAPS ask NERC to clarify that it will keep the current schedule and will not delay the implementation of the Exception process for inclusion and exclusion of particular elements. On June 4, NERC responded to the APPA-TAPS comments stating that the implementation date of the Exception Process would be applied only after changes ordered by FERC proceed through the Reliability Standards development process. NERC Releases Gas-Electric Convergence Report May 22 – NERC released a new assessment that identifies risks associated with increased interdependency between the gas and electricity sectors and provides “risk-informed” recommendations for both industries. NERC Postings – NERC recently posted (1) Draft 1 of a 2014 Business Plan and Budget for the Western Interconnection Regional Advisory Body; (2) Methods and Assumptions for NERC’s 2012 probabilistic assessments of the Regions’ resource adequacy and projected demand growth; and (3)Revision 3 of the list of actively monitored reliability standards. NERC Filings at FERC – Recent NERC filings at FERC include: (1) a First Quarter 2013 compliance filing on Paragraph 629 of Order 693 - Nuclear Data; (2) NERC 2012 True-Up - Report of Comparisons of Budgeted to Actual Costs for 2012 for NERC and the Regional Entities; and (3) a compliance filling in Response to January 16, 2013 Order in FA11-21-000. NERC Penalties May 30 – NERC filed with FERC (1) five Notices of Penalty (NOPs); (2) a spreadsheet NOP resolving 16 violations; and (3) 93 remediated issues in Find, Fix, and Track filings. House of Representatives Passes Resolving Environmental and Grid Reliability Conflicts Act of 2013 May 22 – The U.S. House of Representatives passed the Resolving Environmental and Grid Reliability Conflicts Act of 2013. Among other things, the bill clarifies that any action or omission required to comply with an emergency order under Section 202(c) of the Federal Power Act will not be considered a violation of any Federal, state or local environmental law or regulation. NIST Holds Cybersecurity Framework Workshop May 29-31 – The National Institute of Standards and Technology (NIST) held the second of four cybersecurity workshops at Carnegie Mellon University to develop an updated cybersecurity framework. The workshop focused on responses to Requests for Information posed to industry in February. Among other things, respondents focused on the importance of regulatory flexibility; a risk-based approach as opposed to a compliance-based approach; avoidance of dual and conflicting standards; and information sharing. A third cybersecurity workshop will be held July 10-12, at which NIST will present an annotated draft cybersecurity framework. San Onofre Plant to Close Permanently July 7 – According to press reports, Southern California Edison will permanently shut down the San Onofre Nuclear Generating Station (SONGS). The closure of SONGS leaves California with only one nuclear power plant (Diablo Canyon), and may require additional reliability measures to ensure sufficient capacity reserve margin. Gov. Jerry Brown noted that the state is working on a long-term reliability plan. The California ISO indicates that it will meet its power demands this summer. WECC Bifurcation Moves Forward May 22 – In December 2012, the WECC Board resolved to bifurcate WECC’s functions, such that a new Reliability Coordination Company (RCCo) would perform WECC’s reliability coordinator and regional interchange functions, and WECC would continue to serve as a Regional Entity. In March, the WECC Board elected interim leadership for the RCCo. In late May,amendments to the WECC’s bylaws were proposed for consideration by the Board at the June 27 annual meeting. The RCCo’s interim leadership proposed draft RCCo bylaws in early June. A bulletin summarizing recent progress toward bifurcation is available here.